WHY IS SPAIN STILL THE TOP BRITISH EXPAT DESTINATION? Recent figures from Rightmove show that Spain is still the top destination for British buyers deciding to relocate. Around 2,513,274 people search monthly for their dream home in Spain, which is around 74% higher than those who search for property in France, which came in at second place for the most popular destination that Brits are looking to move to. So why is this the case? Brits are keen to buy in Spain over other destinations due to a number of reasons, the main one being the warm weather.54% of Spanish property enquiries come from people in Glasgow, Scotland, and it’s no wonder when you compare the rain of Scotland to the bright and sunny days that are a near constant in Spain. The average temperature is around 21degrees throughout the year, and in the summer months, the weather can reach up to 34 degrees. We know where we’d rather be! Another key reason that people are so drawn to Spain is because of how close it is to the UK- you can be stepping off the plane and into the Spanish sunshine in around two and a half hours! There’s been a large increase in the number of flights to Spain from UK airports within the last few years, which gives people the flexibility to fly back and forth to visit family and friends when they want to. Flights to Spain can also be a lot lower than prices are to other parts of Europe. This means that relocating doesn’t necessarily mean having to totally give up the life that you had in the UK if you don’t want to. 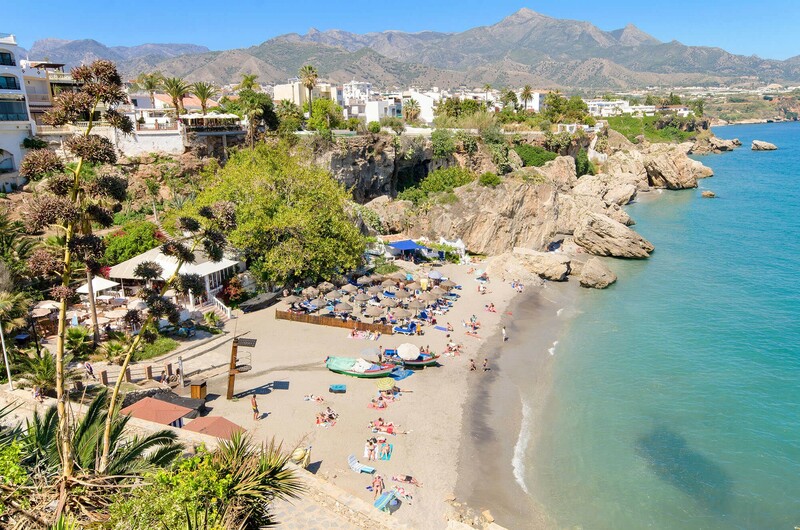 What’s more, those moving to Spain find that it’s easy to integrate into the community and to immerse themselves into the Spanish way of life, something that can be a concern for Brits looking to relocate abroad. A lot of Spaniards speak English, resulting in language barriers not being much of an issue, and there are numerous ex pat communities which makes it easy to find like-minded people. You’ll also find that throughout many parts of Spain, there’s a heavy British influence, meaning that although you can enjoy things such as the excellent local cuisine, you can also easily find the comforts that remind you of home. Other reasons that Brits choose Spain over anywhere else include the fact that it prides itself on having a much more relaxed lifestyle in comparison to the UK, which tends to be much more fast-paced and high pressured. Because of this, ex pats often find that their health and happiness has increased since relocating. This is also due to the focus on enjoying and making the most of the outdoors, with many Brits choosing to take up new hobbies and interests. Where in Spain are they buying? In terms of which parts of Spain have proven most popular, Alicante takes the lead. Alicante is situated on the Costa Blanca andis a port city which has lots to offer. It has a charming old town which retains its traditional Spanish charm, but also has a livelier side to it through its bustling nightlife scene. There’s an abundance of beaches to choose from within close proximity, as well as a good choice of golf courses. Because of its diversity, it has something for people of all ages to enjoy. It’s no wonder that it’s proving so popular with the Brits! It’s estimated that around 761,000 Brits now live in Spain permanently, and that number is expected to continue to rise even further. With that in mind, here at Sequre International, we have thousands of properties available and can guarantee that we can help you find your dream Spanish home. Get in contact with us today on 0800011 2639. SEQURE SECRETS: WHY CHOOSE HIGH SPEC AND SMART HOME TECH?